Rechargeable power banks are very useful and very popular in the industry, and now in the Rock On™ Stone Rechargeable Power Bank, we have one that looks like a stone. So yes, the first thing you think – I thought – is why? Then you start to remember all those companies where a stone can be tied to their brand. Like the building industry. Or camping and outdoor industry. Or solid as a rock slogans for bank and insurance industry. Construction equipment manufacturers. Nature resorts. Building or home supply retailers. Paving companies. If you start thinking about it, a stone is a great shape for a marketing hook. On top of the shape, the Rock On™ Stone Rechargeable Power Bank is really a pretty great power bank. I have had one of these for a few months now – thank you ALLinONE – and at 4400 mAh it easily keeps my iPhone ready to go on long flights, or business meetings. The Rock On™ Stone Rechargeable Power Bank has a very elegant, and easy to read four dot readout to show you how much of a change is left in the unit, and a soft, smooth texture that makes it feel much more ‘natural’ than your common power bank. And, final bonus, they can be imprinted with full color artwork, so your brand message is going to look great. I really did not want to end this blog saying that the Rock On™ Stone Rechargeable Power Bank will allow your client’s electronics to rock on, but then I could not help myself. In part I blame their campy promotional video. 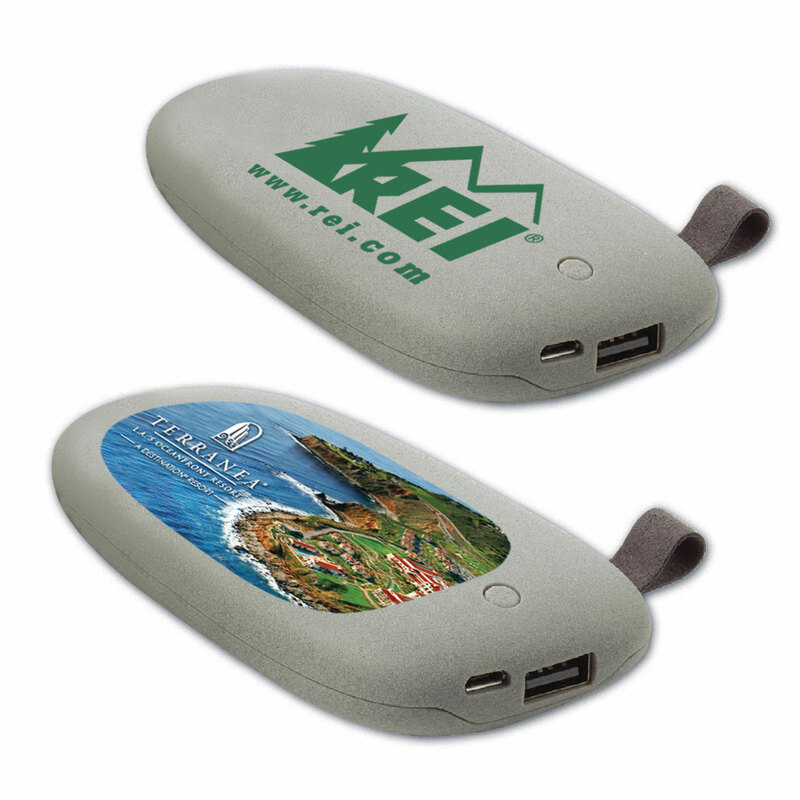 Please contact us at info@proformagreen.com if you would like more information on the Rock On™ Stone Rechargeable Power Bank.